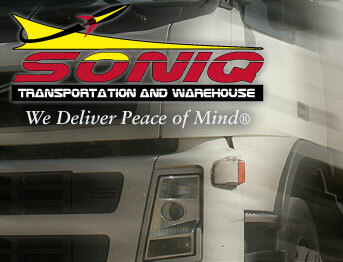 SONIQ provides you a wide choice of delivery and warehouse options. 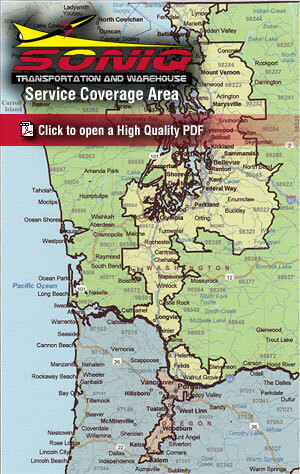 Our delivery services focus on your time sensitive parameters and available throughout western Washington State and northern Oregon. 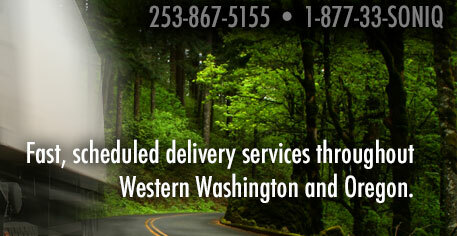 We have the services for you when your freight simply cannot wait to be picked up to be delivered tomorrow. When your shipment is delivered, our team immediately notifies you with a confirmation call communicating: time of delivery, receiving clerk’s name, and the name of our driver that made your delivery. We pick up before 10 A.M. and deliver before 5 P.M.
We get your equipment back on the road! Our team offloads your container and/or trailer, and transfers your freight to our equipment for delivery.